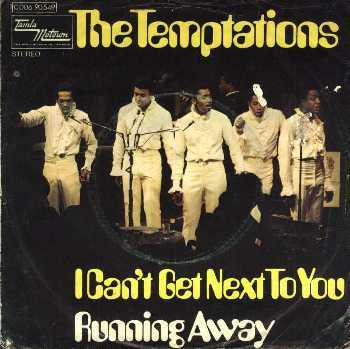 Former Temptation David Ruffin stuck pretty close to his old band’s template on his solo debut. The Harvey Fuqua/Johnny Bristol song was slated to be the Tempts’ next single, but Ruffin was able to sweet talk taking the song with him when he was fired. With backing vocals provided by the Originals, the song sounds enough like the Temptations casual listeners could be forgiven for thinking the news of Ruffin’s departure was nothing but a bad dream. The lyrics also deal with the frequent Temptations theme of lost love. Like he did in “I Wish It Would Rain” and “Since I Lost My Baby,” Ruffin ruminates over how a promising relationship soured and what to do with the loneliness and ache. A Top 10 pop hit that just missed the top spot on the R&B charts, “My Whole World Ended” was a promising start to Ruffin’s new career. Unfortunately, the problems that plagued him in the Temptations continued to haunt. Because he wasn’t a songwriter, Ruffin was dependent on others for material, and Ruffin’s erratic behavior and continued drug use didn’t endear him to many Hitsville songsmiths. Ruffin caused further problems when he started forcing his way onstage during Temptations concerts. Fans were ecstatic to hear the old singer deliver the hits, but the group, with new member Dennis Edwards, was less than enthused. There was a flurry of immediate covers after the release of “My Whole World” in early 1969. The Chi-Lites, Kiki Dee and the Spinners all recorded interpretations of the song within 18 months of its initial release. |Than age or time could ever destroy. The song opens with some gospel chords on the piano before the gently insistent bassline enters. Robinson’s voice appears on a pillow of strings, as the arrangement slowly builds underneath. After Robinson delivers the chorus a second time, the performance pulls back to that great bassline before reaching a climax that sustains through the rest of the song. Foreshadowing Motown’s cross-country relocation, the track was performed by Los Angeles session musicians before the Miracles – including Claudette – overdubbed their voices in Detroit. It’s unclear why Robinson, who also produced the cut, bypassed the Funk Brothers, but the public didn’t seem to mind. The song was wedged near the top of both the pop and R&B charts in the spring of 1967. 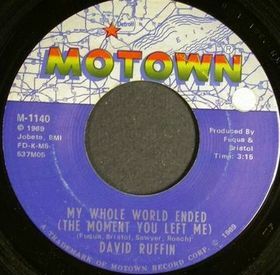 Foreshadowing another Motown move, “More Love” was the second single credited to “Smokey Robinson and the Miracles.” Berry’s decision to give Robinson top billing started the avalanche that benefitted Diana Ross and Martha Reeves but doomed David Ruffin and the Temptations. Smokey and Claudette eventually had two children, both named in tribute to Motown. Son Berry Robinson was the namesake of label founder Berry Gordy, and daughter Tamla Robinson was named after the Hitsville subsidiary. Former New Christy Minstrels singer Kim Carnes had a No. 10 hit on the Adult Contemporary charts in 1980 with her reading of “More Love.” The song was her biggest hit until “Bette Davis Eyes” hit No. 1 the following year. “More Love” has also been covered by Paul Young, Barbara McNair and the 5th Dimension.